Want to help your kids be a Conservation Biologist for the day tomorrow? We’re heading out for a quick walk through the Hunter Wetlands National Park tomorrow to search for White Ibis as part of the Australian white ibis community survey. Those of you in NSW, Queensland and Victoria can join in too if you like? More details here. I reckon, that if you want to maximise your chances of spotting one, a trip to your local tip is your best bet. There's a reason these birds are commonly known as the bin chicken or tip turkey. I’m noticing more and more opportunities for the community to get involved in nature conservation these days. 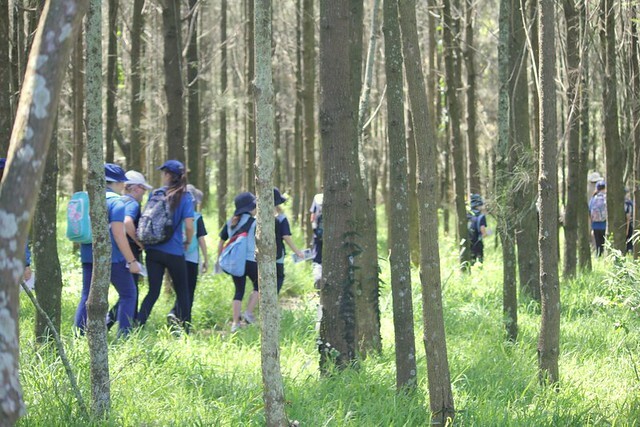 And I suspect we’ll see even more over time given that one of the key objectives of the National Strategy for the Conservation of Australia's Biological Diversity is involving the community. Another opportunity I want to look into is mangrove watch. Do you know of any other upcoming family-friendly nature conservation activities/events? I know 'stuff' won't make me happy. But sometimes I get caught up in wanting stuff. A new camera lens, an ipad, a double kayak, a cargo bike, a sound recorder, and a food dehydrator. I've wanted to buy each and every one of these at some stage over the past month or so. Its ridiculous! I know I can be just as happy, or more so, without them. I read this article on the weekend: Living so your heart's content by Bronwyn McNully. It gave me hope that one day we'll live in a society where people care about 'friendship, co-operation, compassion and wanting to make the world a better place', rather than money and stuff. Speaking of stuff, the next 'Story of Stuff' will be released 8th November. It's the Story of Broke. Looks good. Here's a teaser. You too? Do you get caught up in wanting stuff that you think you need, but know you don't? 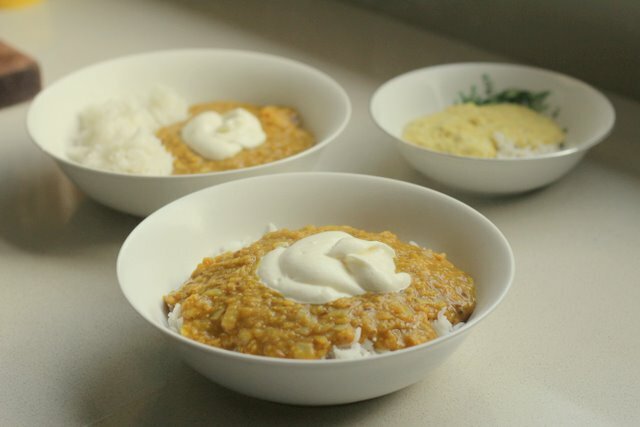 Dahl is the meal I cook towards the end of the week once we’ve devoured the contents of our weekly vege box*. It’s so simple that I always have the ingredients in my pantry no matter how bare it looks. All you need is lentils, onions, garlic, ginger root, a little oil and a few spices. Combine these with natural yoghurt and some rice and you have a frugal, easy, healthy meal. I usually cook a double batch and put a few lunch serves in the freezer ready to take to work. It's also one of Little Eco's favorite meals. I stir a little yoghurt through hers to reduce the spiciness. 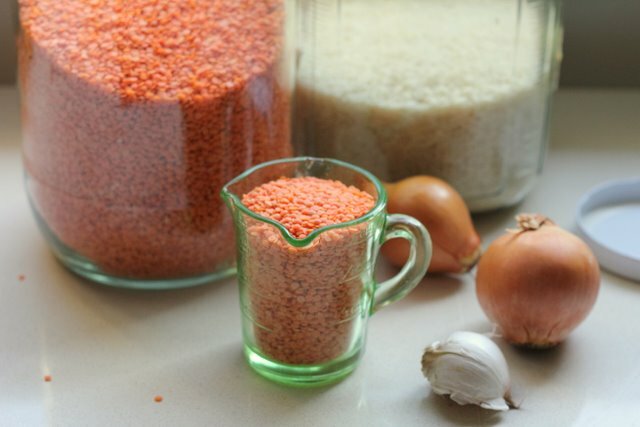 Boil lentils in water until tender and mushy (around 30 minutes). In another pan heat oil and cook next 5 ingredients until onion is tender. Stir in garam masala and salt and remove from heat. Add onion mixture to the cooked lentils, and simmer together for five minutes, boiling fast if mixture needs thickening, or adding more water if it's too thick. Serve on a bed of rice and top with plain yoghurt. There's only two days left to enter the kids bike wicker basket giveaway. For those of you in Newcastle, the Earth Relay will be passing through Nobbys on Sunday morning. Perhaps i'll see you there? *I’m not suggesting we manage to do that regularly. Anyone else find their vege box subscription helps them track how healthily you’ve been eating?. Like this week. The night before our next vege box was due I found that we had hardly touched the veges from the previous box. What have we been eating? Did we just go a whole week eating hardly any veges? **I’m loving sticky beaking at what people would grab if they had to flee their burning house. Thanks Morgan and Kim for introducing me to the site. Do parents realise what their children are missing out on? 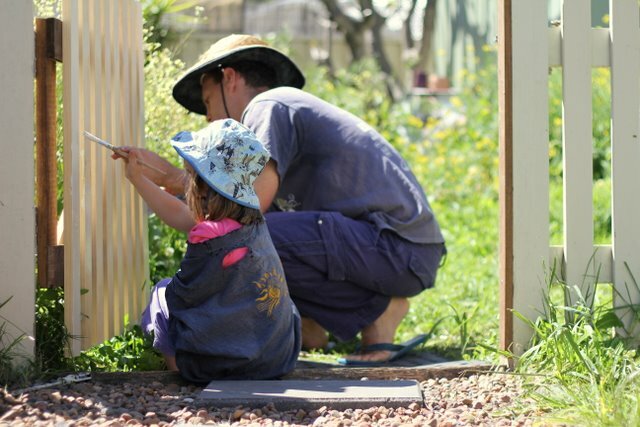 Anyone actively involved in community groups, charities, or kids sporting clubs, will be all too aware that very few people volunteer their time these days. In my experience, it's typically the 'older generation' that are volunteering. Very few children seem to be enjoying the benefits of volunteering. That saddens me. Do their parents realise what their children are missing out on? I’m over at Childhood 101 today talking about sharing the value of volunteering with your child. Don't forget to enter the kids bike wicker basket giveaway. I'm currently a fair-weather cycler only. If there's even a teeny threat of rain i'll skip the bike and jump in the car. Come January, when we get rid of our second car, that won't always be an option. So i'm on the look-out for some wet-weather cycling gear. I'm also hoping to lose my 'frumpy mummy' cycling look and channel just a little 'copenhagen chic'. I was therefore pleased to discover CycleStyle, specialising in 'stylish clothing and accessories for the urban cyclist'. I was even more pleased to discover that CycleStyle stocks loads of products made from natural and renewable materials like wool, wicker, and cotton. As soon as Little Eco's bike seat comes off the back of my bike i'm certain i'll be investing in this Retro Canvas Utility Pannier. I'll then be shifting my huge front basket onto the back of my bike and i'm tempted to get a wicker basket for the front. I'm also extremely tempted by the Jenny Reflective Wool Cycling Cape. How gorgeous! I love that it's made of wool rather than horrid sweaty toxic pvc. The wicker basket i've been admiring also comes in a cute kids size and Joyce of CycleStyle has generously offered to give one away to a Little Eco Footprints reader. The super cute basket made Little Eco's $8 op shop bike look not so pre-loved. The sturdy basket simply slips onto the handlebars. It also fits her scooter. It can be carried by it's handle when not on a bike. Perfect for collecting eggs. That doesn't look like eggs? As you can see, it's one very versatile basket. Would you like to win a kids wicker basket? To enter the giveaway, simply head on over to CycleStyle, browse their shop, and head back here and leave a comment revealing which product tempts you the most and why. Entries close midnight (Australian EDST) Monday 24th October. The winner will be chosen by Random Number Generator and announced here in this post on the Tuesday morning. I'll contact the winner directly by email. The WINNER was comment number 32 by Obaitori Spiritual Mothering. Congratulations Katie! I've just emailed you to request your postal details. Little Eco received a complimentary kids wicker basket to review. I did not ask for, nor receive, payment for this post. I'm more than happy to help promote CycleStyle because anything that encourages urban cycling is a good thing. Want to know more about urban cycling? Check out Sarah Wilson's tips on what to wear when bike riding and her 24 top tips for inner-city bike buying.